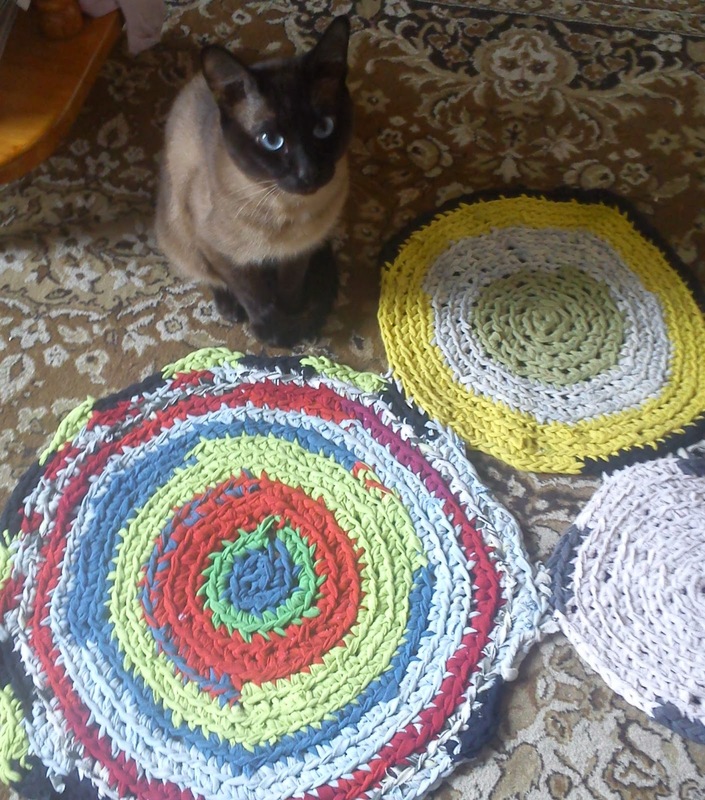 събота, 31 януари 2015 г. 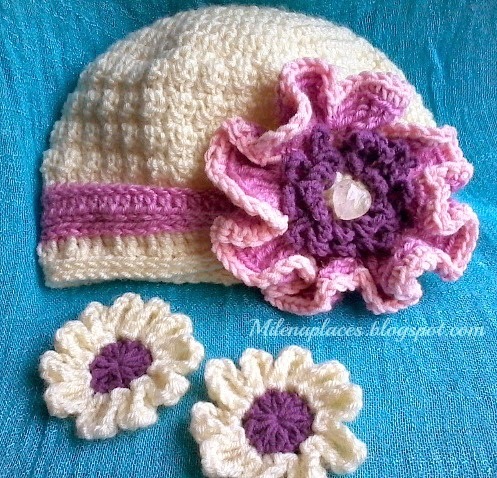 Previously I showed you some parts of this amazing baby set - HERE, HERE and HERE. 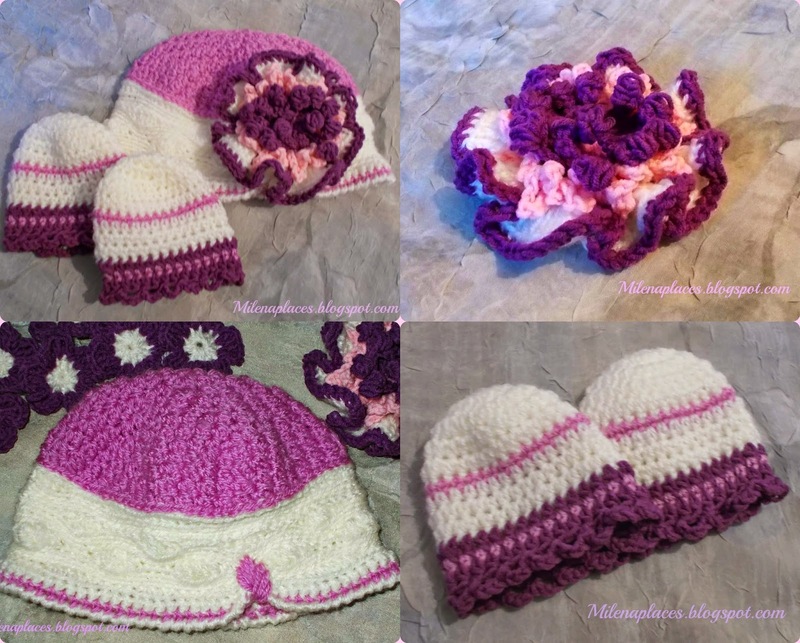 Even though i prefer different colors and shapes on it, many moms order them in the exact same one because they can't imagine how it would look in a different palette. 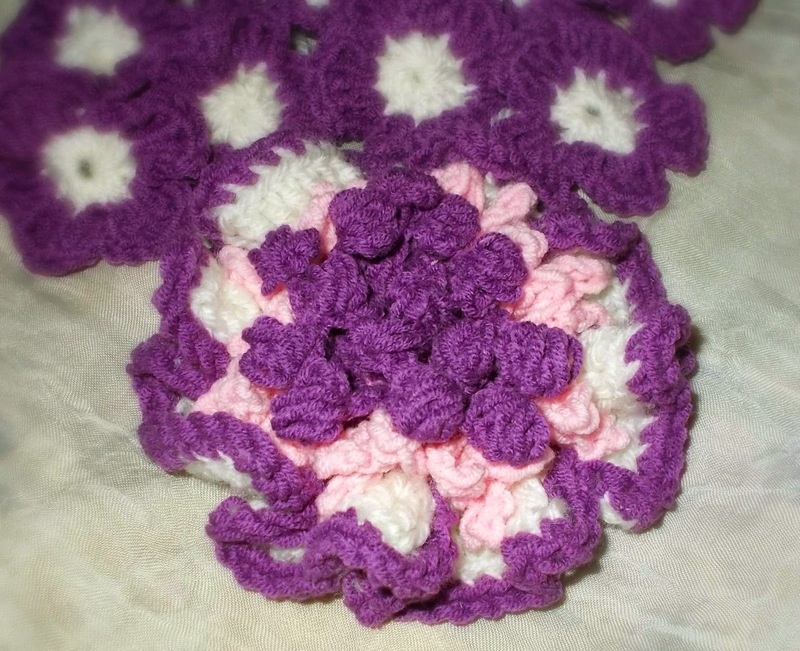 But I like the results because i love this pink - purple - white palette. 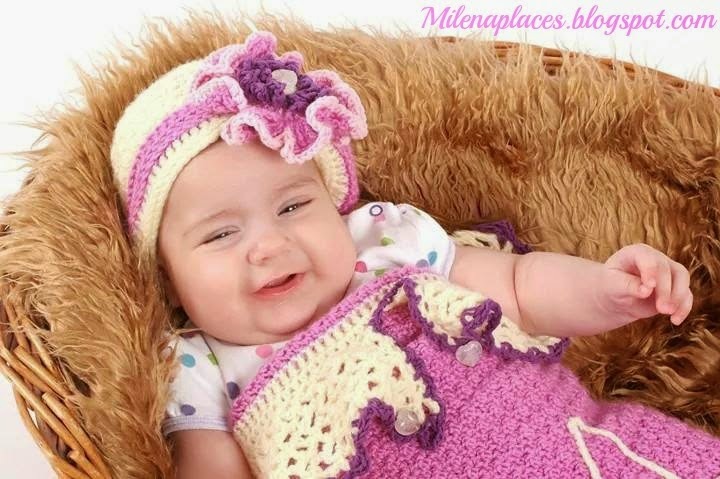 This is my favorite i think. 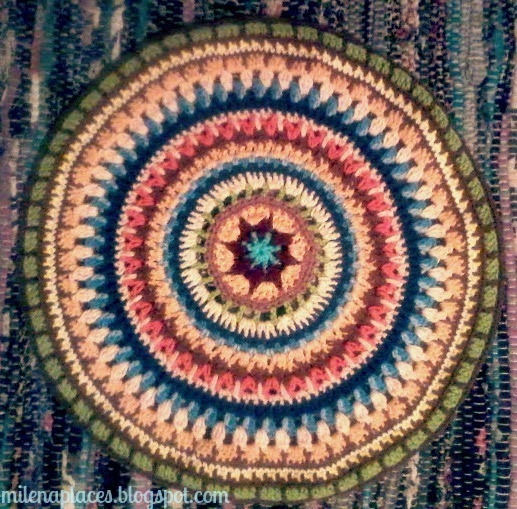 I hope all of you like it. 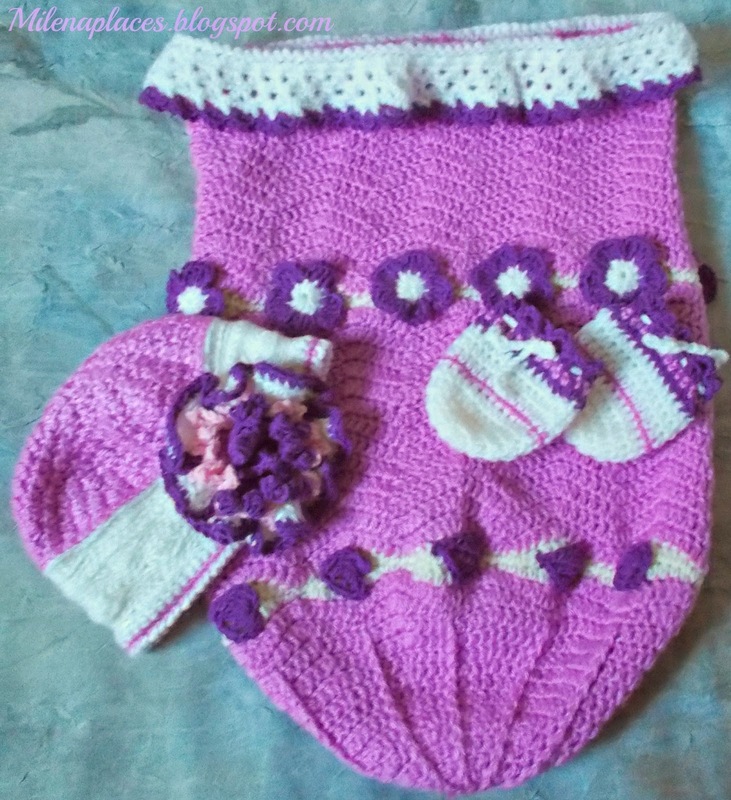 For the sweet little baby girl Leyla, born last night, i prepared nice set. 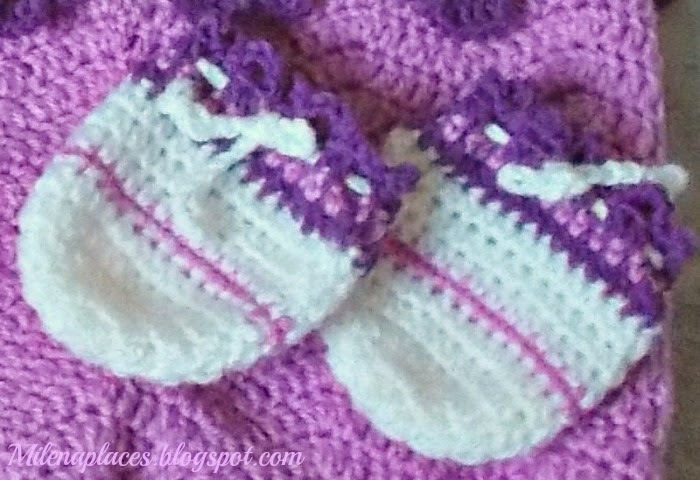 Yesterday i wrote about a part of this - Lilac Baby Dream. 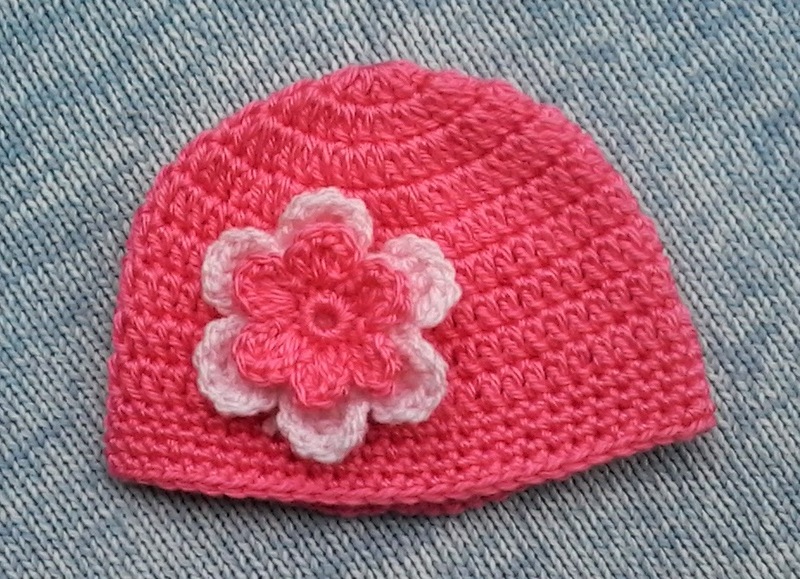 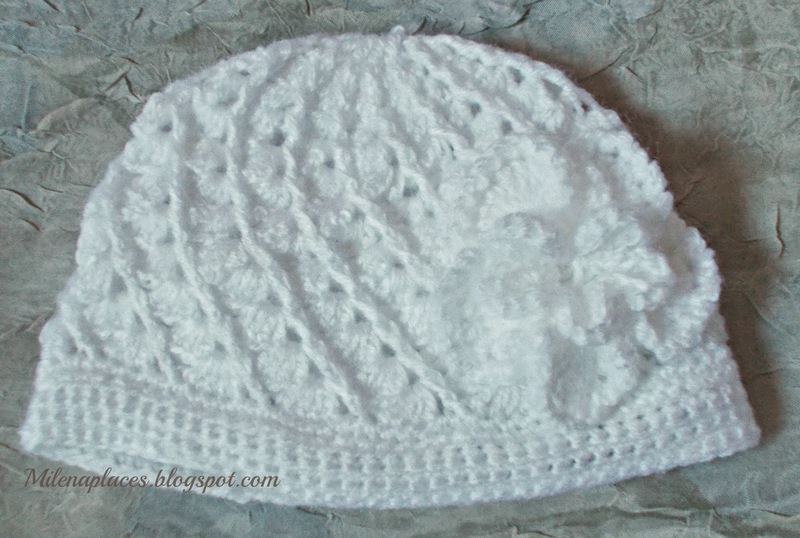 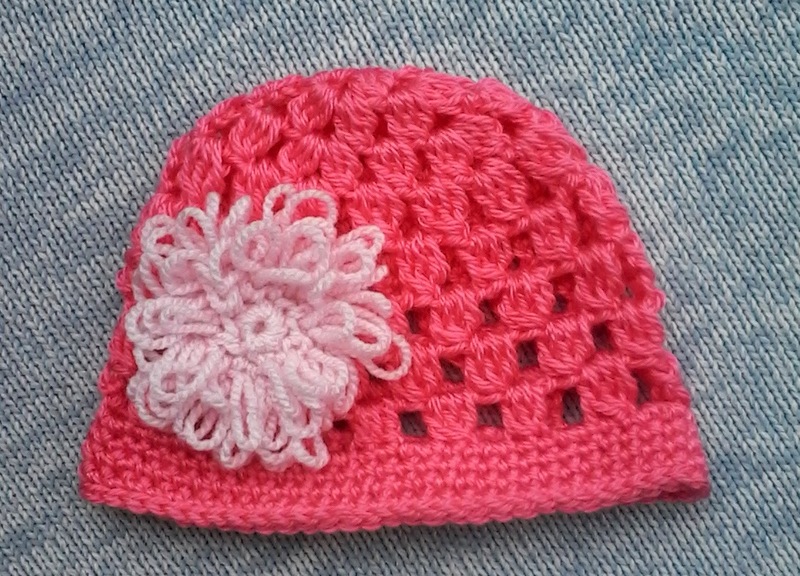 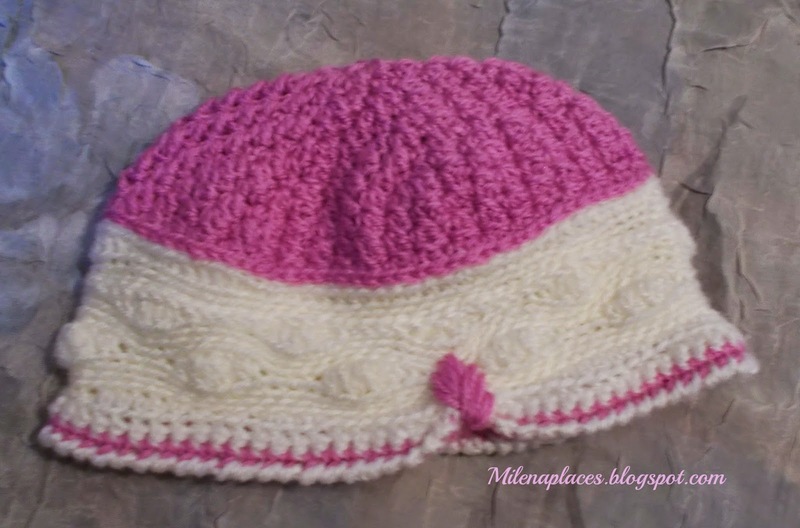 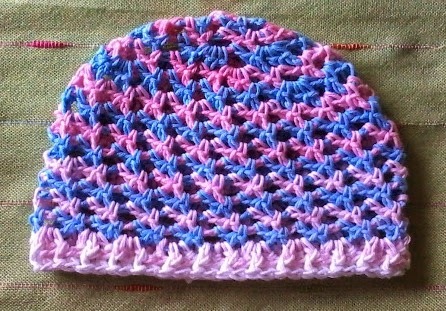 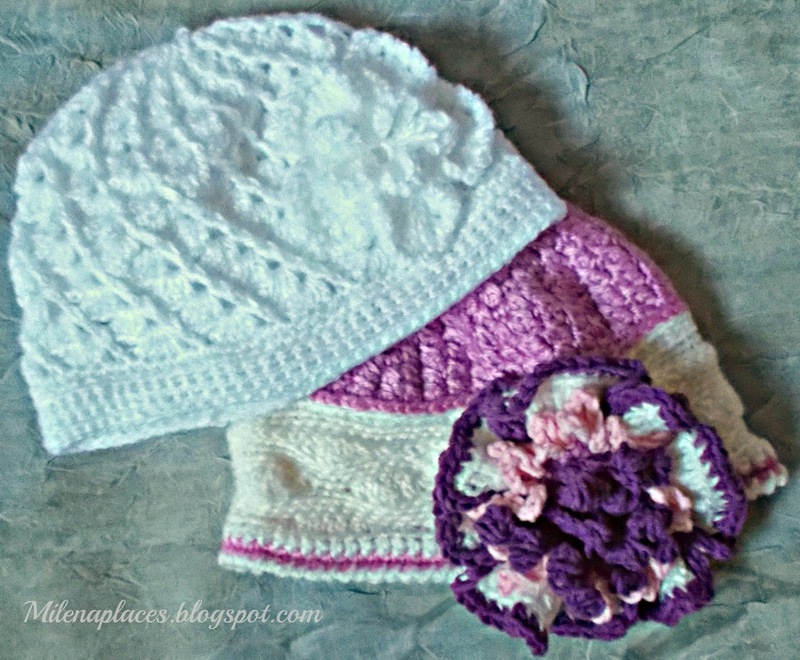 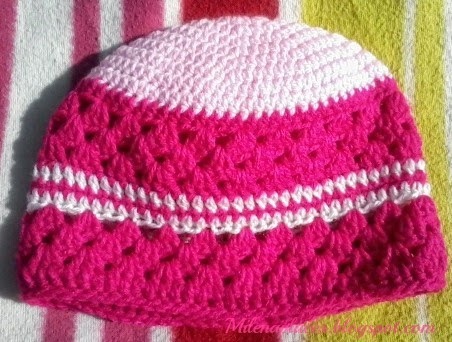 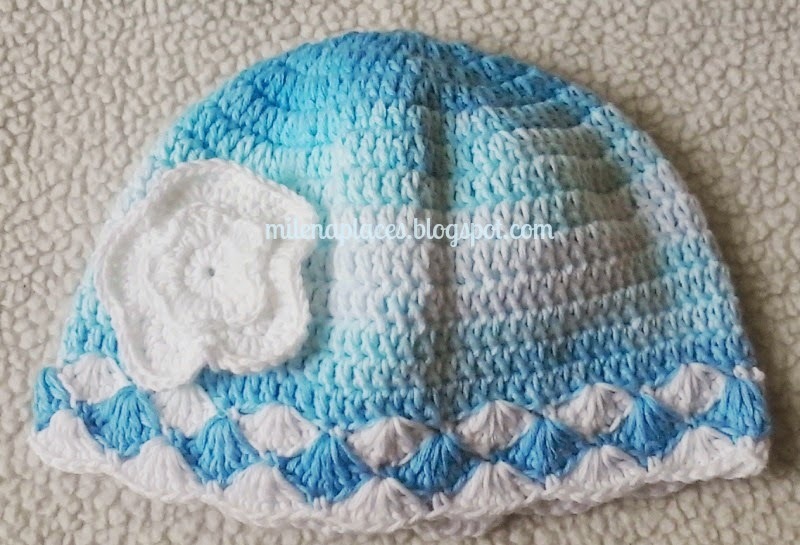 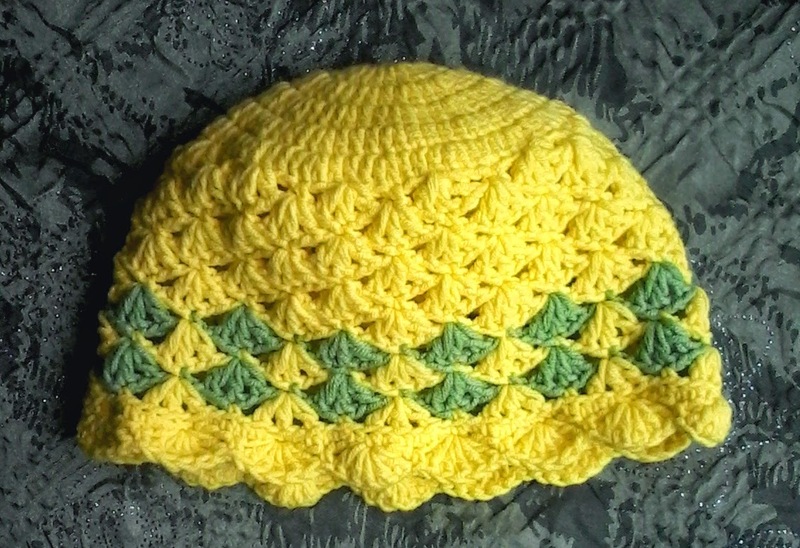 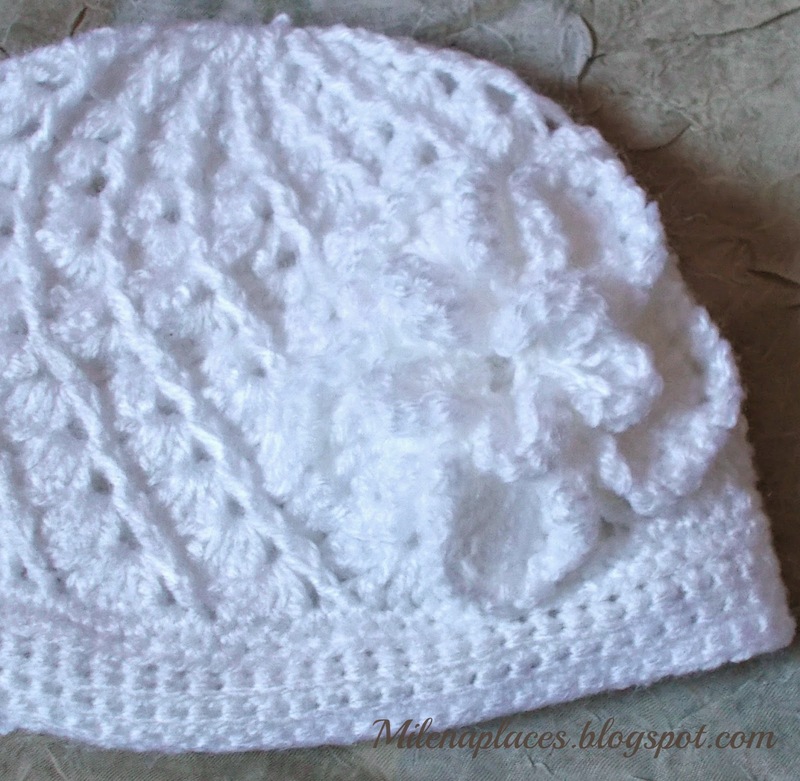 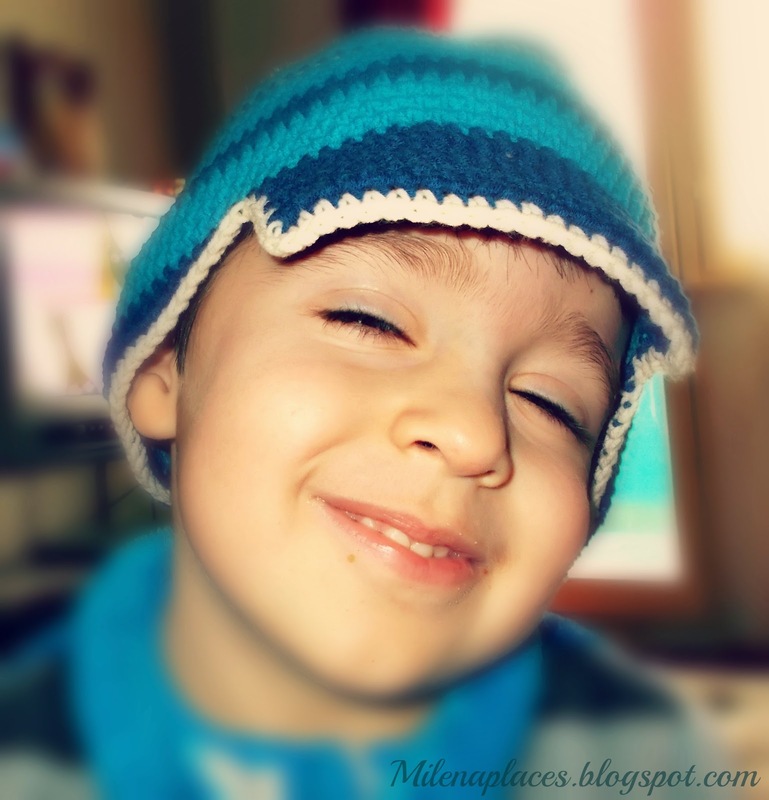 Today i crocheted Snow white baby beanie with a splendid flower - "Leyla's Snow Joy". 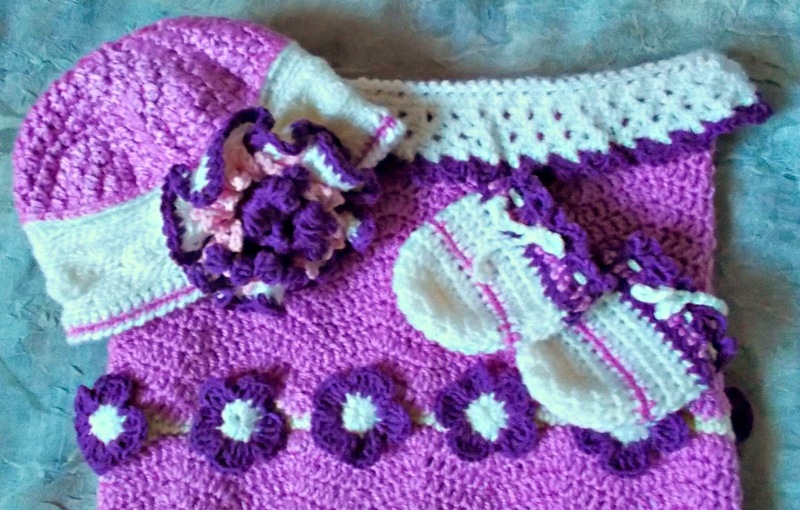 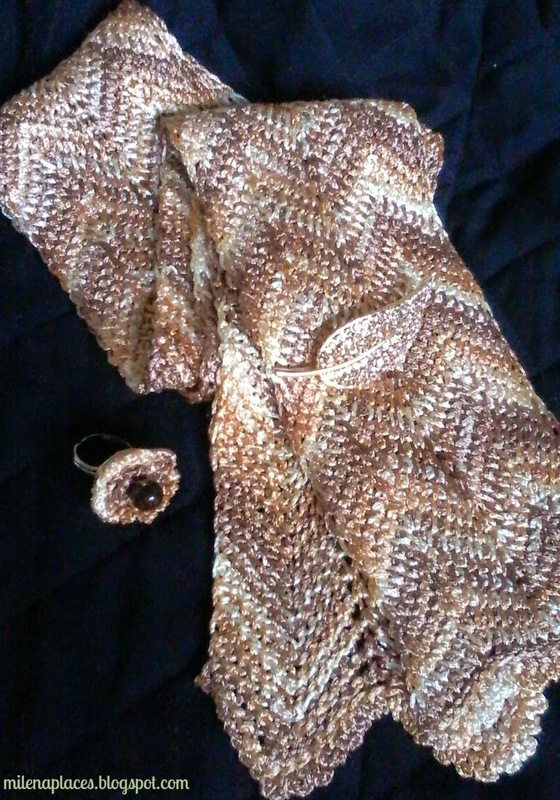 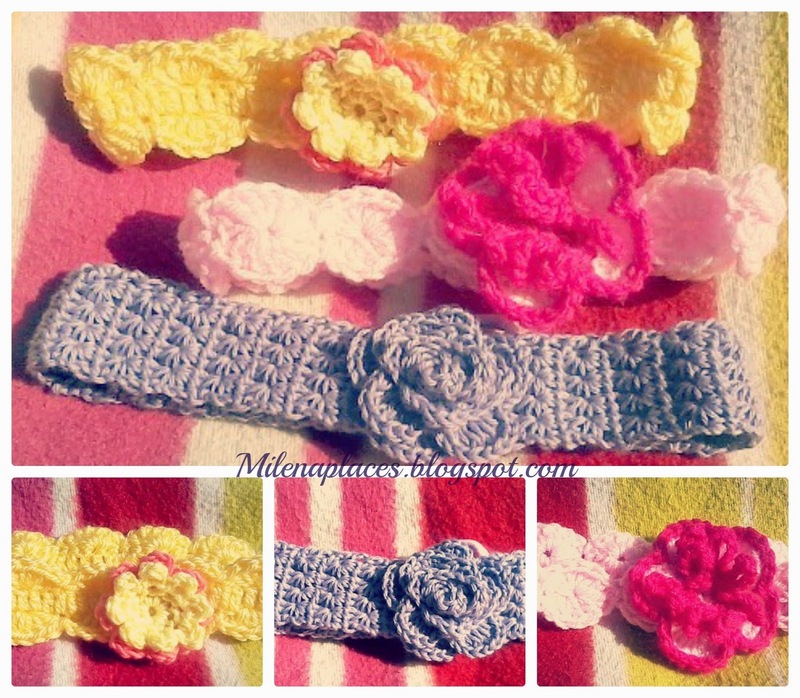 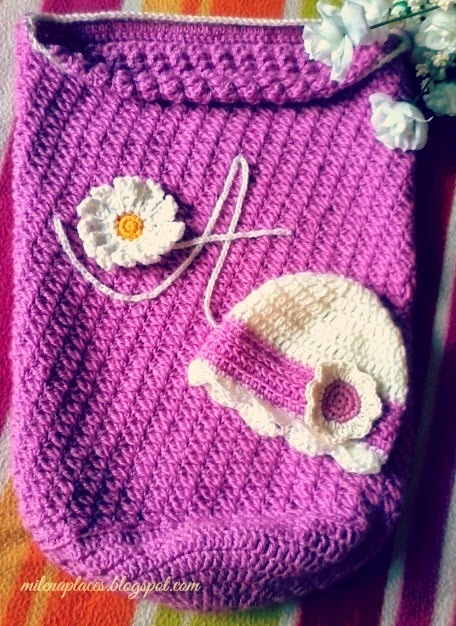 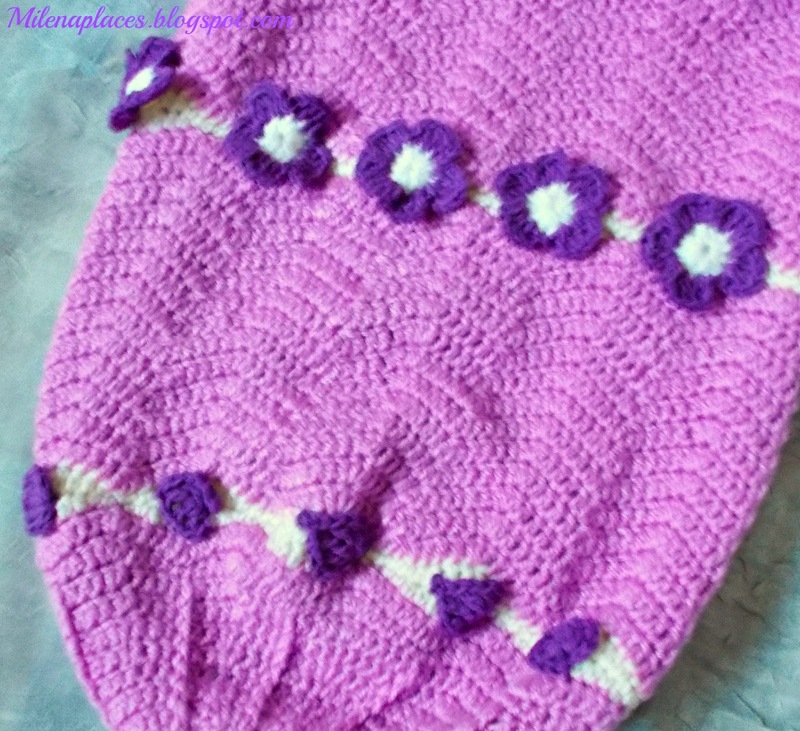 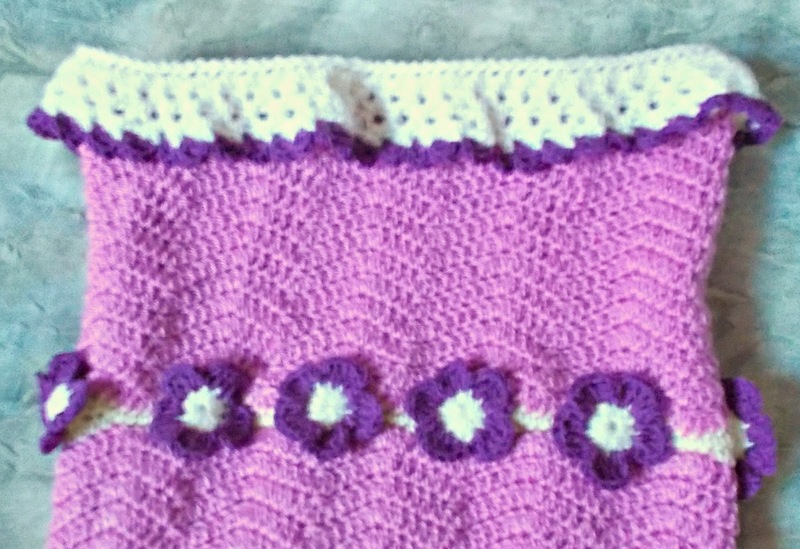 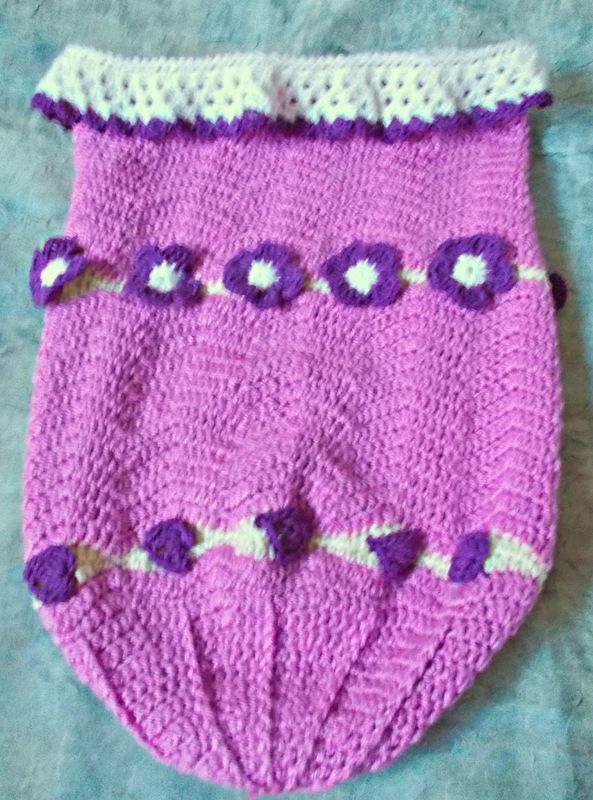 This is a part of my new crocheted baby set - swaddle sack (cocoon), beanie with big flower brooch and very cute mittens. 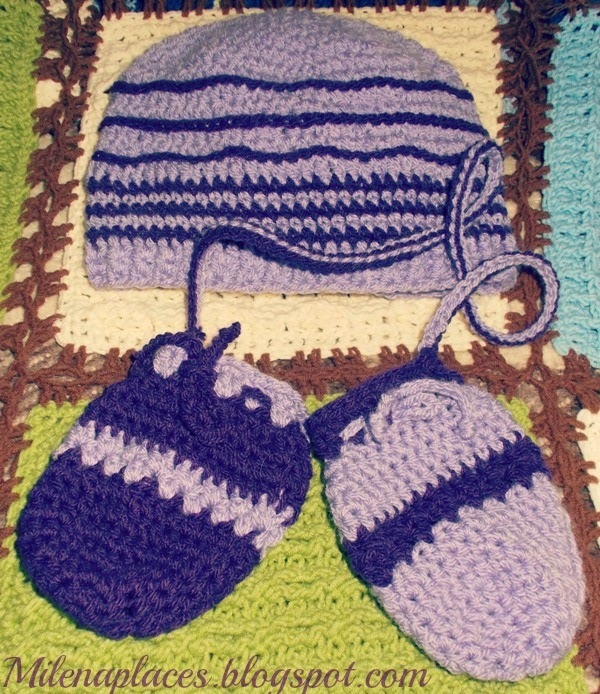 Тhe swaddle sack is almost ready - i have just a little work on it and i will show you. 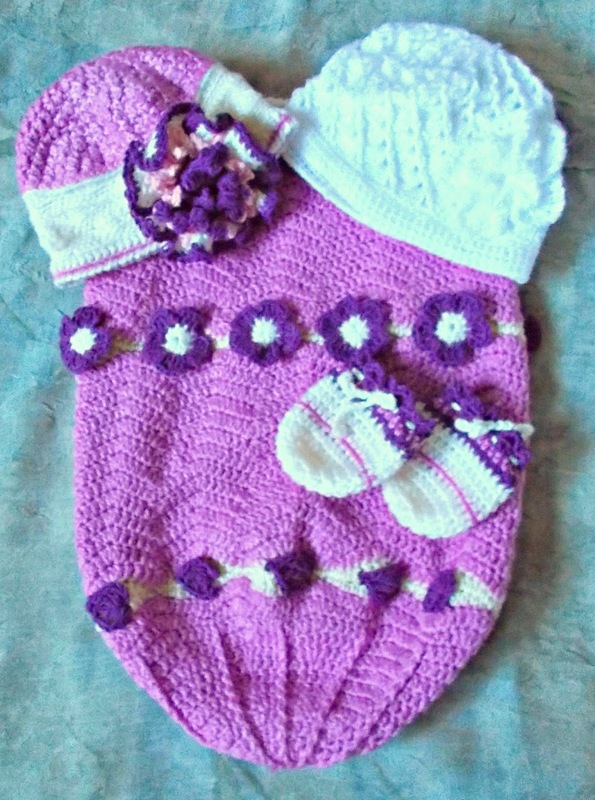 All of this is ordered by nice two-boys-mommy, pregnant with a baby girl now. 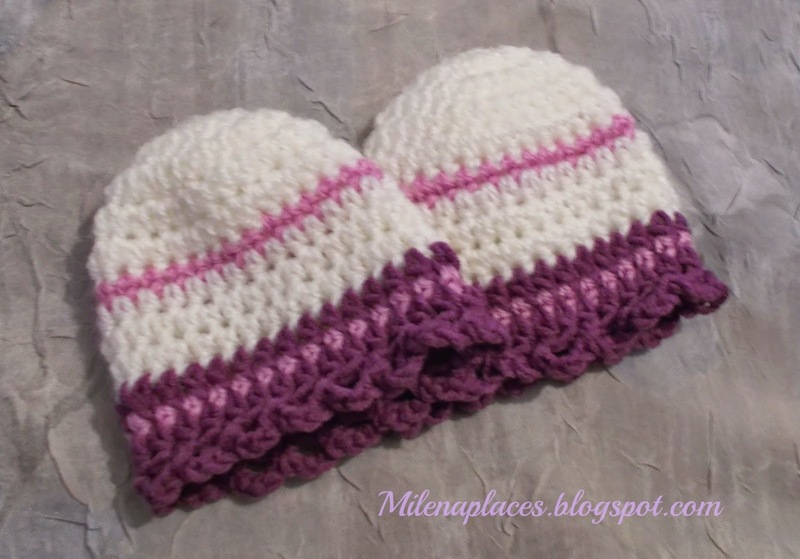 She liked my two sets with cocoons and wanted the same for her future baby girl. 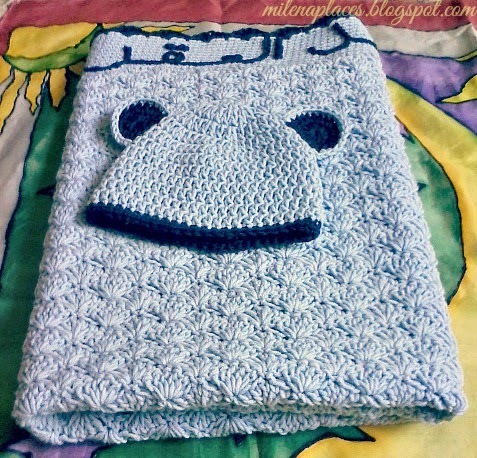 Of course i can't do the exact :) And i hope she will like this new one. 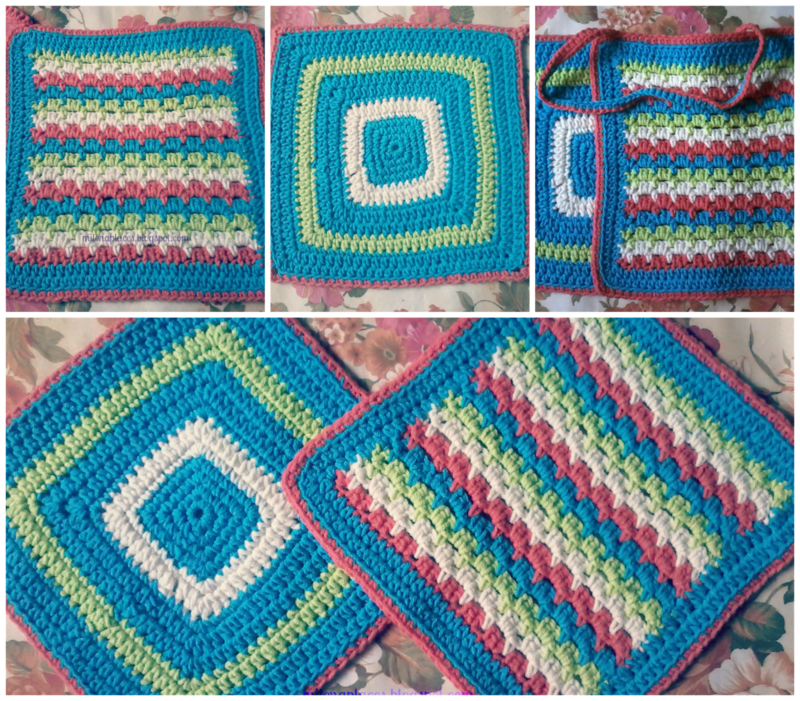 And once again...Because of the color difference in the same number yarn but in other consignment, I have a problem with my current crochet. 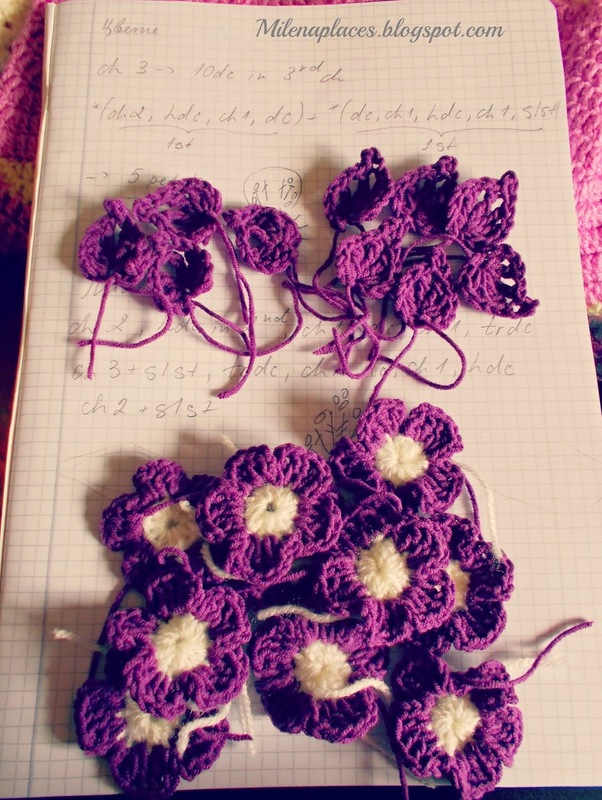 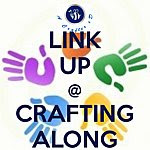 It is impossible to unknit it and i need to find the best solution. 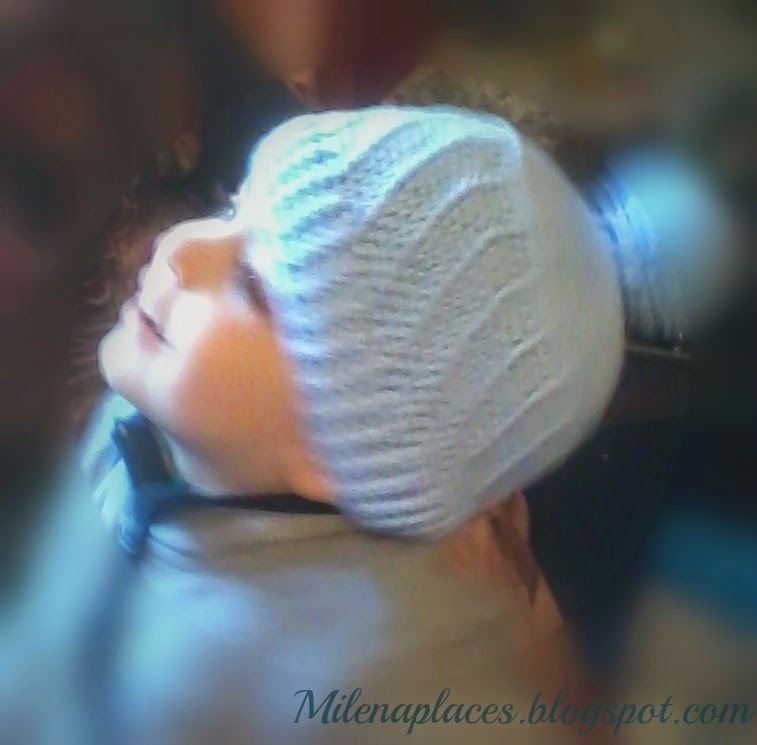 Следващото ревю е на подложки, ръкохватки, мандали. 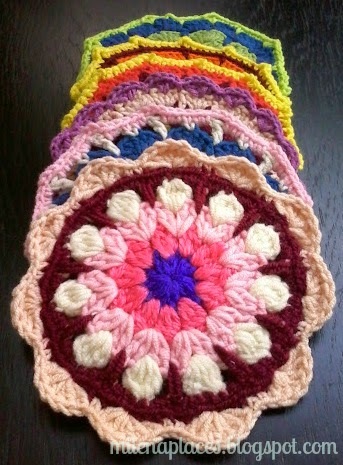 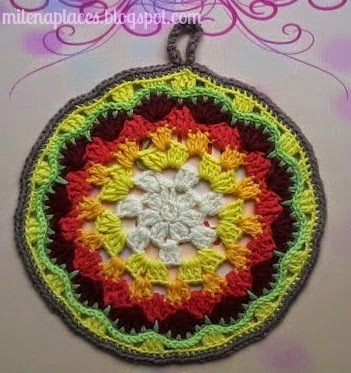 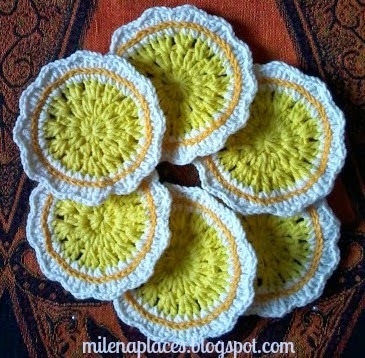 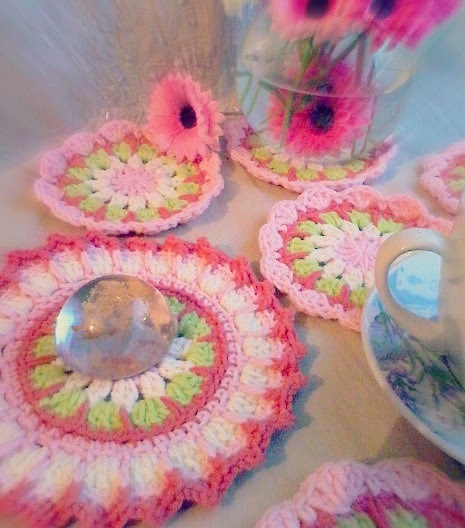 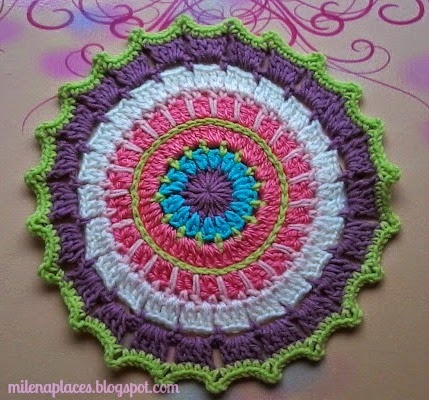 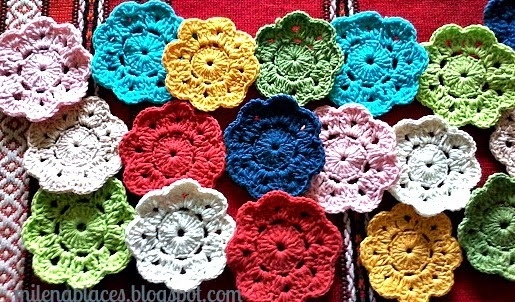 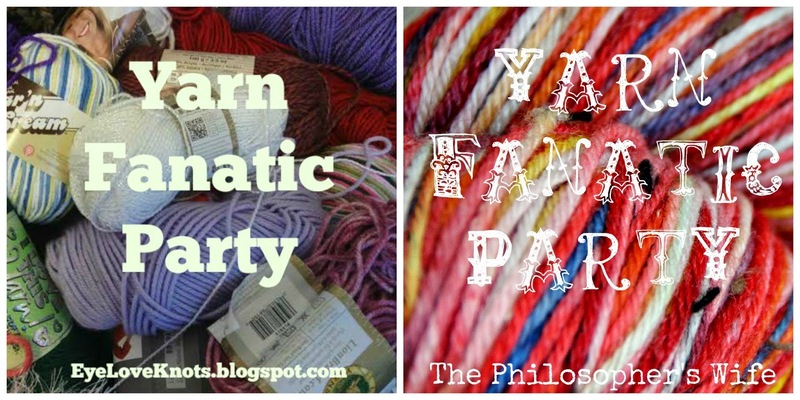 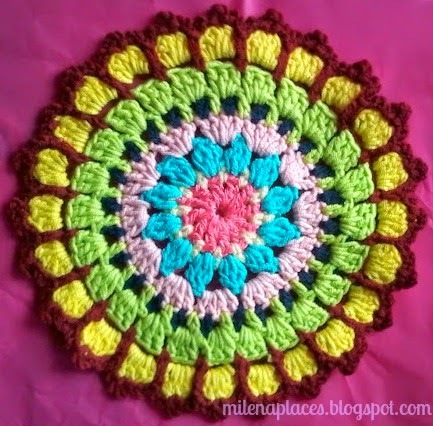 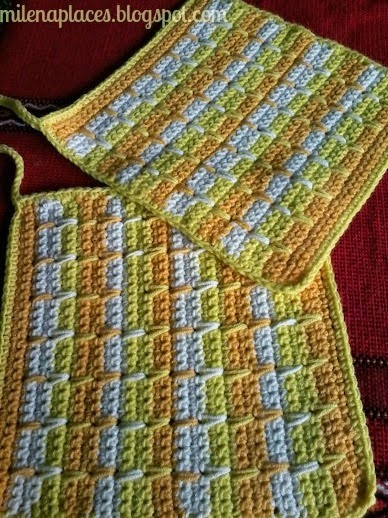 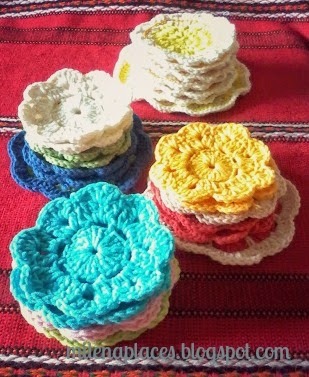 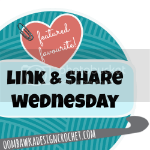 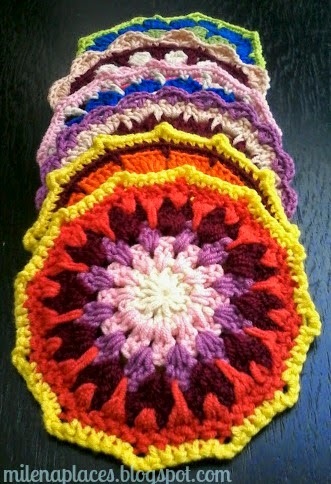 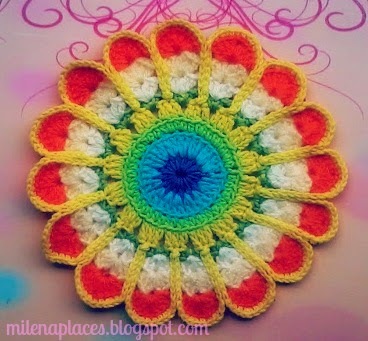 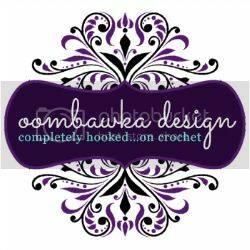 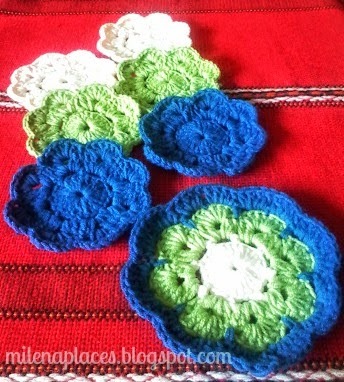 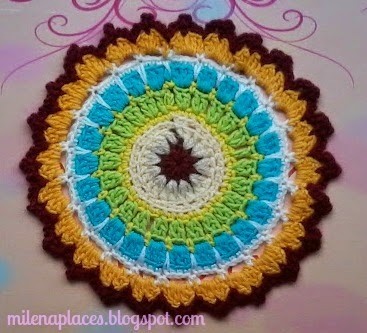 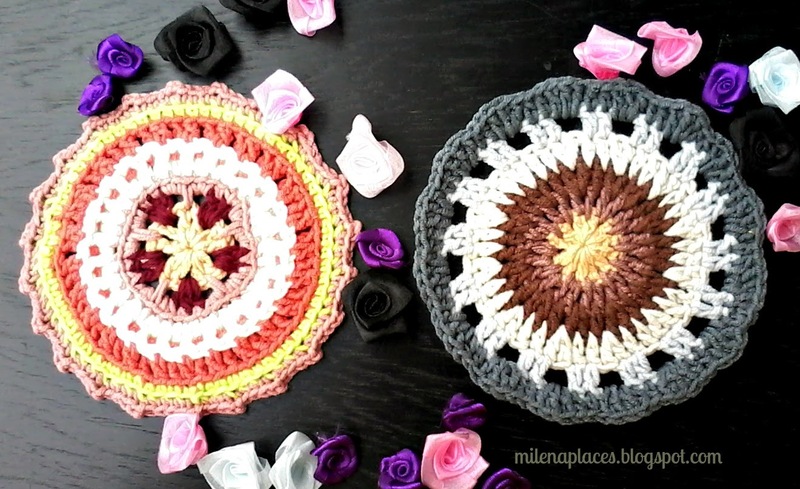 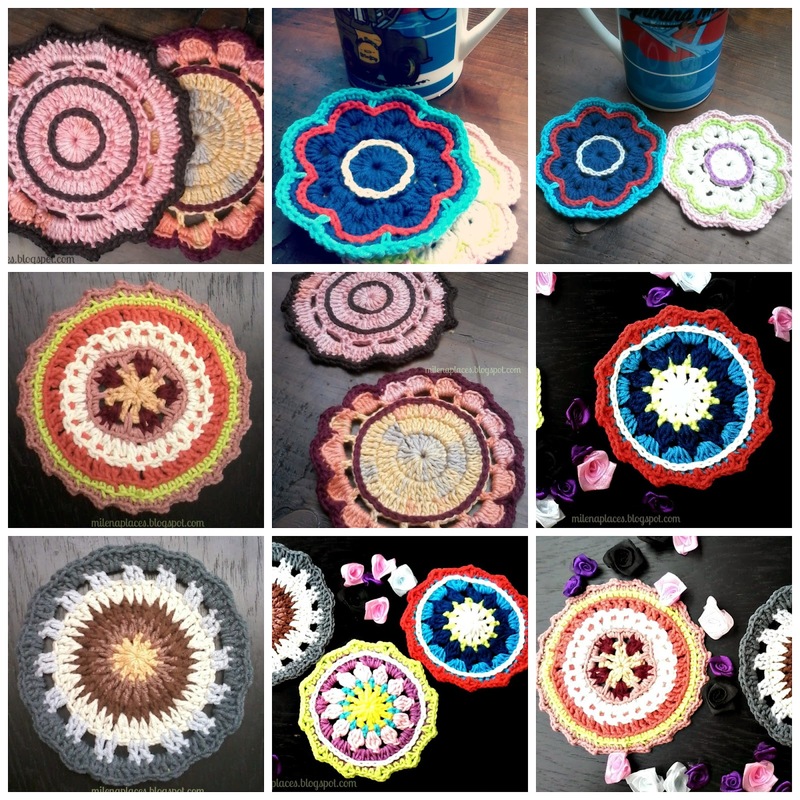 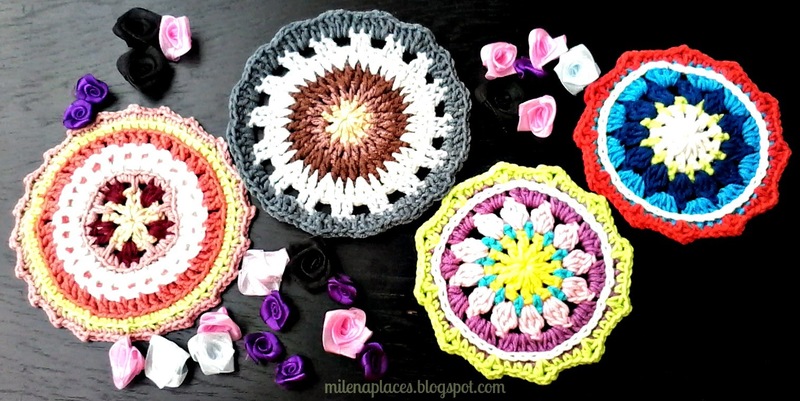 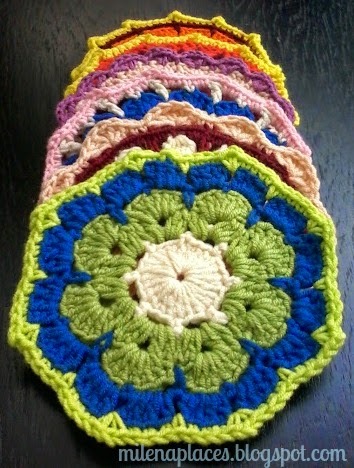 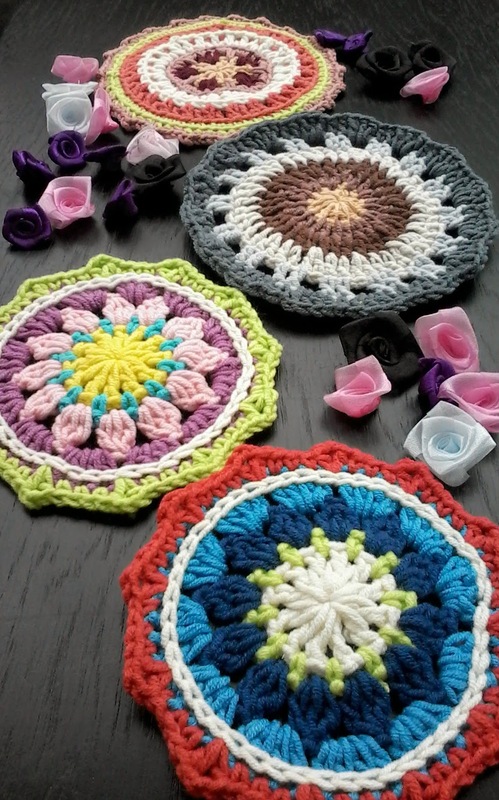 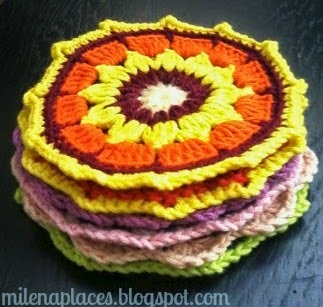 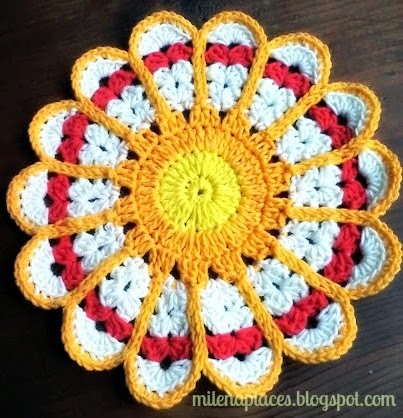 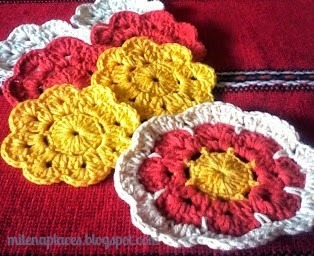 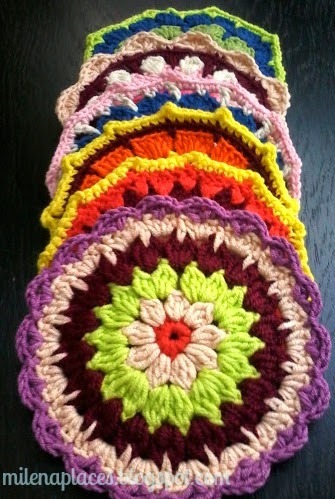 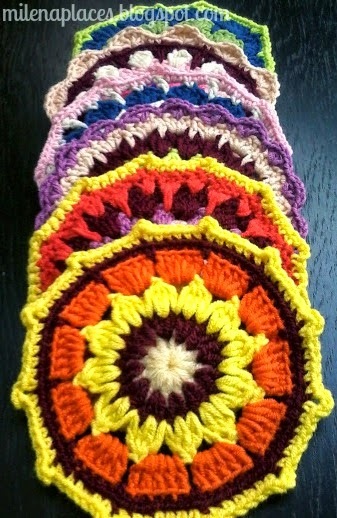 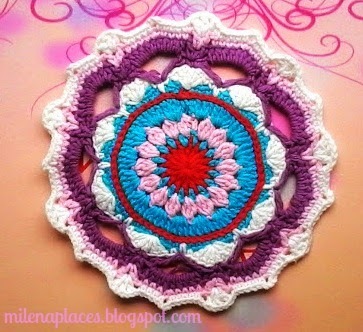 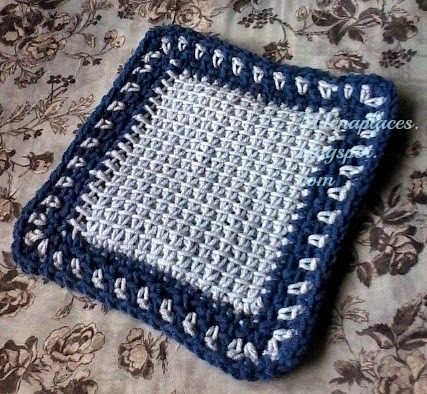 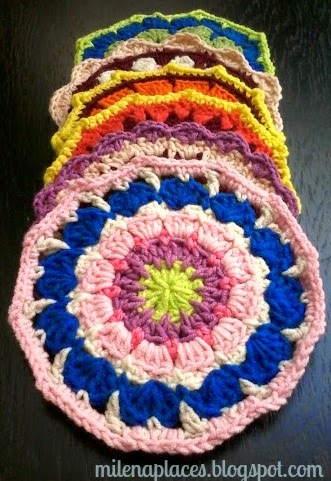 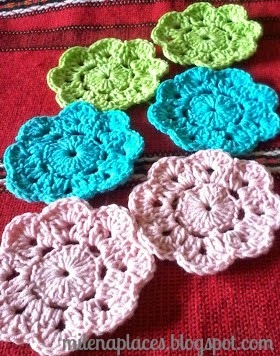 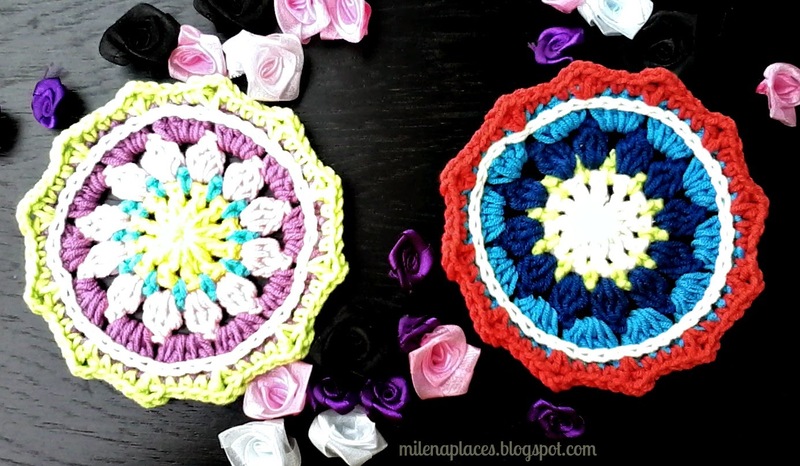 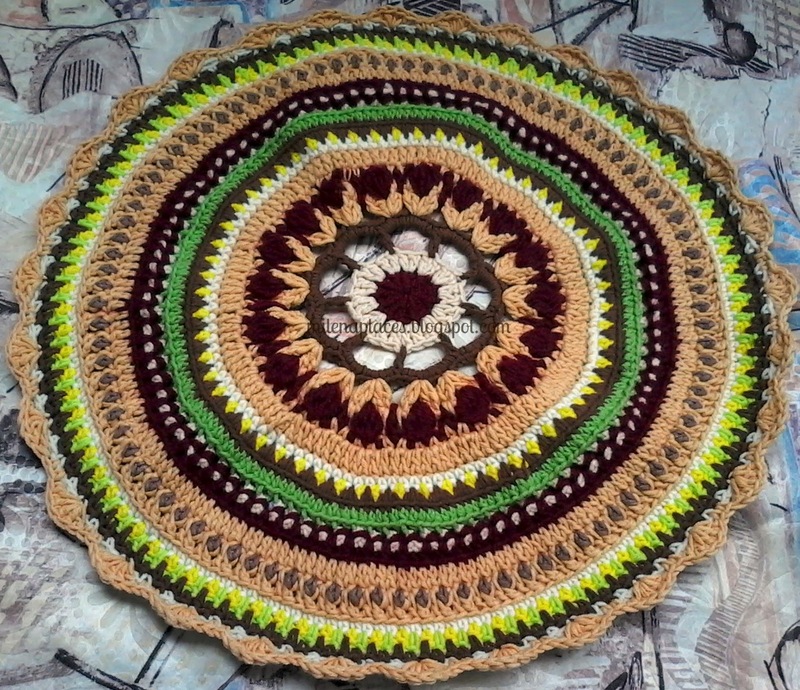 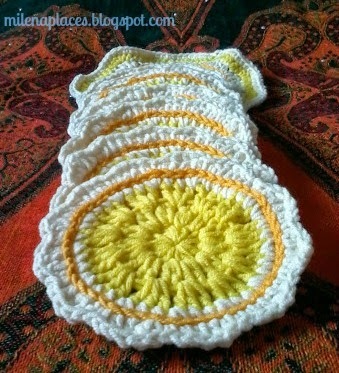 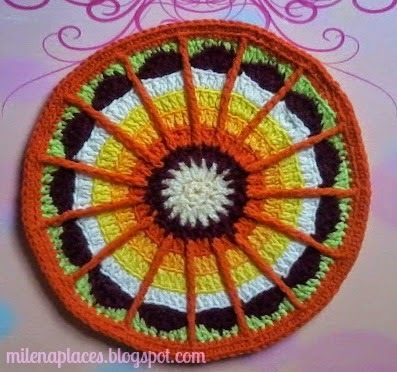 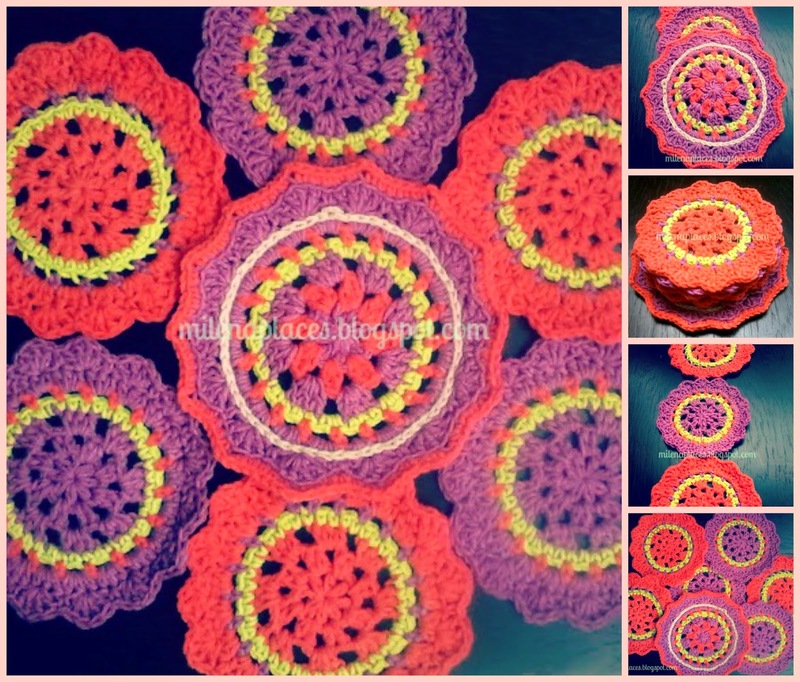 Next review is about Coasters, dishcloths, potholders and Mandalas.